Is more parking needed to ensure availability of short term parking in the buildings west of the railway. The shoppers’ parking in the old Council car park between Brown and Help Streets has not been replaced, so shops in the area find it hard to get customers. The building owners should wake up to the problem, and modernise their parking spaces to compete with Westfield and the Chase. The RMS representative, John Begley, responded to WCC request for an update on the Fullers Road proposals and the status of Council’s requests for speed cameras. John advised that Peter Crosbie will meet with Gladys Berejiklian, Minister for Transport, on Friday (23 August) to outline RMS proposals regarding upgrading of Fullers Road. There are some changes to the proposals previously put forward, including a right-hand turn into Edgar Street. If the Minister endorses the plan, it will be presented to the community before tenders for the work are finalised. Regarding speed cameras, John advised that the Centre for Road Safety is responsible for decisions to install these: as far as he can determine, there is no proposal to install a speed camera on Fullers Road. (we have previously been advised that Fullers Rd was on the end of a black-spot list for a speed camera) He did acknowledge that RMS was undergoing major restructuring at present and this was affecting its operations. Steven Head stated that the response of RMS regarding a speed camera is an amazing decision. There has been no response to Council from the Centre for Road Safety, so if this is its decision it is most inappropriate that it has been made without any communication to the local community. STA Buses have raised a number of concerns regarding local bus routes being disrupted by vehicles parking at various locations along routes in this area. Locations particularly affected are opposite Nos 61 and 67 Dalrymple Avenue, Lone Pine Avenue at Eddy Road, Carr Street at De Villiers Road and Dalrymple Avenue opposite Spencer Place. It was agreed that ‘No Stopping’ restrictions be introduced at these locations. 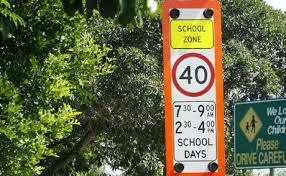 • The existing 40km/hr school zone be extended along Whitton Road to Freeman, Road. 2. The existing 5min parking zone on northern side of Centennial Avenue be amended to ‘No Parking/Kiss-&-Drop’ zone. 3. The existing 5min zones on the southern side of Centennial Avenue become ‘No Parking/Kiss-&-Drop’ zones. 4. A ‘No Parking/Kiss-&-Drop’ zone be created on the northern side of Eddy Road between Goodchap Road and Lone Pine Avenue. No Parking zone will take effect from the beginning of the 2014 school year. 5. Council will write to RMS seeking an extension of the existing 40km/hr school zone along Whitton Road as far south as Freeman Road. Over 70 local residents attended the Planning Assessment Commission (PAC) hearing to assess the twin tower development by Meriton near the Chatswood Railway Station. Thirteen speakers told Commissioners Richard Thorp and Donna Campbell of their concerns. Thirteen local residents address the Commission. A determination by the Commission is expected in a week or two. This article reviews the current position regarding the long delayed Fullers Rd Safety Scheme. After the Council position there is the RMS (RTA) position including a link to the independent consultants report. As you are aware Council has been pressing the RMS and the State Government in regard to road safety on Fullers Road and agitating for the installation of road safety measures including speed camera’s on Fullers Road. Council’s most recent action in regard to Fullers Road was in June 2013 when we wrote the Centre For Road Safety at Transport for NSW making a renewed request for speed cameras on Fullers Road to be completed in conjunction with the Road Safety Scheme. No response to that letter has, to date, been received. Council also wrote to RMS and the local members in April regarding the ongoing delays in introducing the road safety proposals on Fullers Road. It is noted that RMS is now proposing further amendments to the Fullers Road proposals to address issues raised in the Independent review. It is also noted that the independent review makes no reference to the provision of speed camera’s on Fullers Road. A link to this review can be found towards the bottom of this e-mail. Fyi, details have been updated on the RMS website with regards to Fullers Rd. We have released a report by Parsons Brinkerhoff which assesses the Fullers Road proposal. RMS has review the report and are in the process of amending the design. Once a final design has been completed RMS will inform council of its next step. Opal travel card readers will be installed at Chatswood by the end of the week. 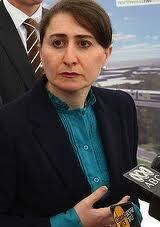 They will also be switched on at railway stations between Milsons Point and Chatswood by Friday. The Opal readers will be operational at 17 train stations across Sydney CBD and the lower north shore. More than 15,000 people have an Opal card. They have made 330,000 trips since the new technology was rolled out late last year. The new Opal card will be progressively rolled out across the network over the next 15 months. Read an earlier story about the Opal card.